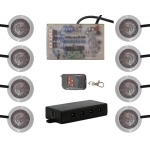 Tantrum kits are the ultimate strobe system on the market, featuring one of a kind LED pods that have lead the Tantrum kits to become popular for way more than just LED strobe kits for your car. 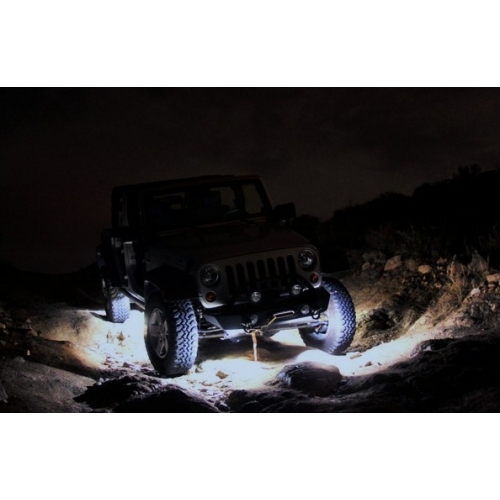 Today Tantrum kits are found on the trails of Moab mounting to rock crawling jeeps, the dunes of Arizona for night time illumination where 55watt fog lights used to be the norm, and in the Baja 1000 providing working light for night time repairs. 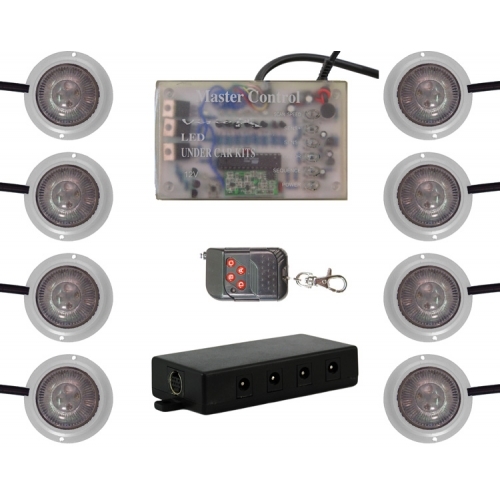 Each kits consists of eight 1 watt pods, master controller with built-in microphone for sound interface, distribution block, wireless remote with a 1000' range, and cigarette lighter adapter for plug-and-play installations. 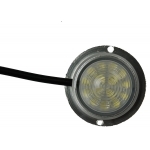 Check out our LED pods for additional pods that can be wired up directly to a 12volt source.